Iowa Statehouse on Jan. 15, 2019. Iowa Gov. 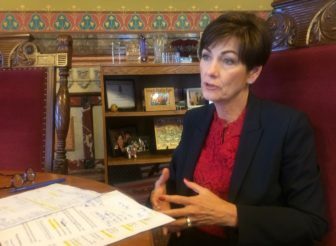 Kim Reynolds says enough state money will exist to pay for projects she proposed last week during her annual Condition of the State address. Democrats interviewed for the program said they’d like more money in the next budget year, which starts July 1, for things Reynolds proposed, such as education and mental health care services. “We will work with her as much as possible on the things that we agree on,” state Sen. Pam Jochum (D-Dubuque) said. “One of my concerns, however, is that we still are not fully funding the children’s mental health system,” Jochum said. Gov Kim Reynolds, in her Statehouse office on Tuesday, Jan 15, 2019, during an IowaWatch interview. 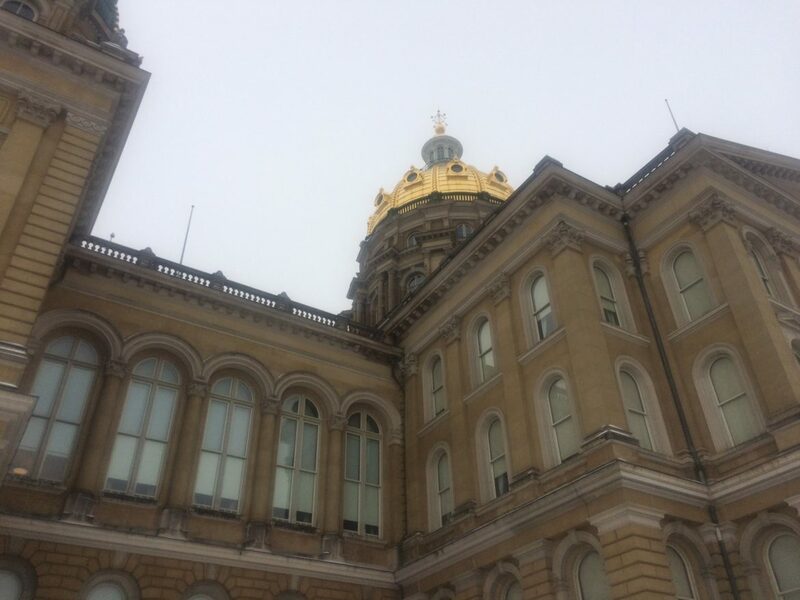 A full IowaWatch report on the governor’s budget proposal is at this link. Reynolds proposed an $8.2 billion fiscal 2020 general expense spending plan that includes $7.65 billion in state appropriations for state agencies and initiatives. More than one-half — 56 percent — would go to education programs in K-through-12 through higher education. She proposed adding beds at six locations in the state for short-term mental health stays and 22 mobile treatment teams to go on-site when someone needs emergency care. Her proposal calls for spending $11 million over two years in the state’s Medicaid budget on children’s mental health and $3 million next budget year on training school teachers to better recognize and deal with children who have mental illness-related problems. State budget officials project the state raising a little less than $8 billion from taxes and fees and produce ending balances of $305.9 million on June 30, 2020, and $517.4 million on June 30, 2021. That comes after lower-than-expected revenues forced state officials to make mid-year budget cuts last year. Iowa Gov. Kim Reynolds stressed keeping promises for mental health care funding, education, rural revitalization and second chances Tuesday in her Condition of the State address. The call for second chances would come via a new state constitutional amendment that restores voting rights for felons who have served their full prison terms.